When one day, out of the blue, that guy from that band that released that album you’ve listened to daily for nearly six months straight asks if you’d like to premiere their new video, what do you say? After you’ve finished blinking several times to make sure you’re reading it right, you probably say yes. Obviously, yes I said, “obviously, yes, I’d be happy to,” and here we are. 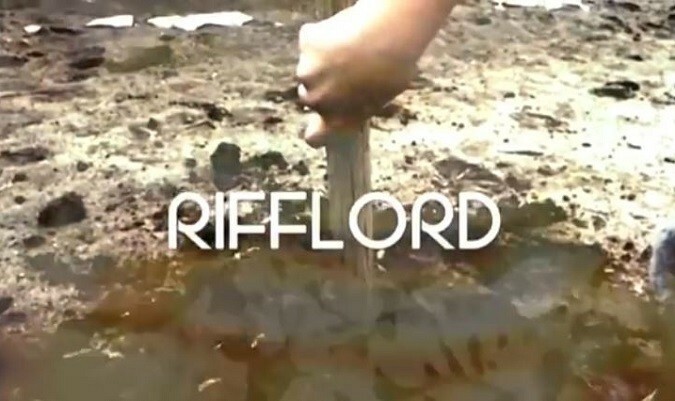 Riff Relevant has a brand spankin’ new RIFFLORD video to share with you today. Premiering is the new RIFFLORD video for “Lucid Trip” and “The Poisoned Mother” – which are tracks 8 and 9 off of their latest album ‘7 Cremation Ground / Meditation‘ [read our review]. The album was released digitally in late November 2018, with various limited vinyl pressings and cassettes available via STB Records in December (many variants are now sold out). Grab a copy [HERE] before they’re completely gone. “Lucid Trip” is exactly as you’d imagine – instrumental luminosity taking your mind on a quick journey across the road into the only track off of their album which features Tory Jean Stoddard on vocals. Sonically “The Poisoned Mother” lies somewhere between Heart and Saint Vitus. Vocally, Tory’s harmonies are smooth and haunting, her lustrous voice floats in clear azure tones above the guttural fuzz of guitars layered over a thunderous drumming. The zenith closing is a frantic climb for equilibrium between the guitar and a Hammond organ. The video was shot on a ranch outside of Burke, South Dakota and features the daughter of Tory Jean Stoddard and vocalist / guitarist Wyatt Bronc Bartlett. The visual structure of the video is representative of the struggle within a mother’s mind in an attempt to regain her identity postpartum. RIFFLORD was founded in 2007, by vocalist and guitarist Wyatt Bronc Bartlett and crew after discovering a love affair they had with vintage tube amps, Hammond organs, and tinnitus-inducing volume. Over the course of a decade, their location, priorities, and lineup may have changed but one thing remains constant: the love of the all mighty RIFF. Watch the premiere of the “Lucid Trip” and “The Poisoned Mother” video below, check their upcoming live dates below the video, then grab a copy of RIFFLORD‘s ‘7 Cremation Ground / Meditation‘ via STB Records [HERE].